952 NS (SOU) 9842 NW EMD GP18 957 12-1982 NS 09-1961 5633 26798 Unit currently stored, but still on the active roster. 953 NS (SOU) 9843 NW EMD GP9 912 01-1983 NS 09-1959 5588 24921 Unit currently stored, but still on the active roster. 954 NS (SOU) 9844 NW EMD GP9 901 01-1983 NS 09-1959 5588 24910 Unit currently stored, but still on the active roster. 956 NS (SOU) 9846 NW EMD GP9 646 05-1984 NS 01-1959 5582 24798 Unit currently stored, but still on the active roster. 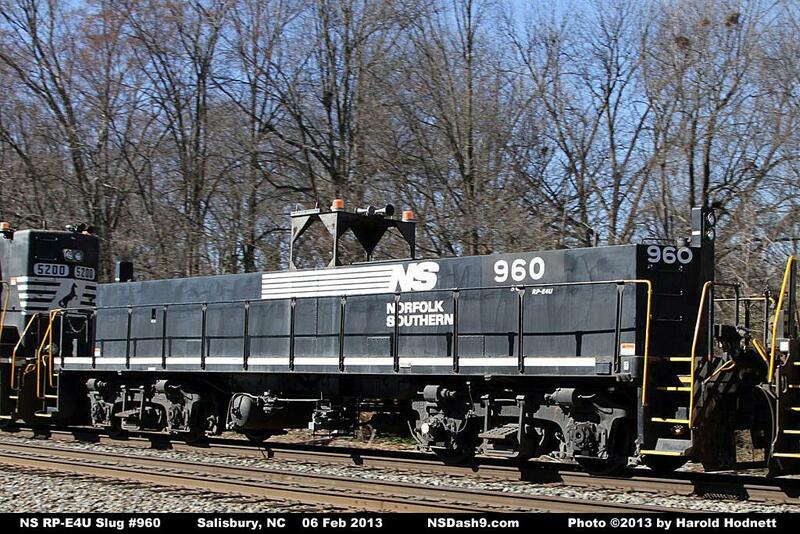 958 NS (SOU) 9848 NW EMD GP9 881 07-1985 NS 08-1959 5587 24890 Unit currently stored, but still on the active roster. 959 NS (SOU) 9849 NW EMD GP18 920 08-1985 NS 12-1959 5609 24929 Unit currently stored, but still on the active roster. 961 NS (SOU) 9851 NW EMD GP9 697 10-1985 NS 04-1959 5586 24849 Unit currently stored, but still on the active roster. 962 NS (SOU) 9852 NW EMD GP9 864 08-1990 GE 06-1959 5587 24873 Unit currently stored, but still on the active roster. Equipped with EMD Blomberg type-B trucks. All units are equipped for remote control operation. Units 952, 954, 956-958, and 960-961 are setup for operation with NS EMD/NS MP15E slug master units. Units 953, 955, 959, and 962 are setup for operation with NS EMD GP40-2 master units.